related user Entries can be Offices, Reserves or Bands. Users is independent table –> round shape corners, specific big icon. 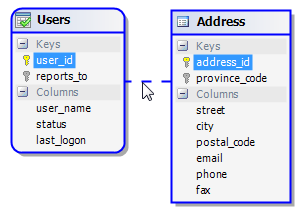 Address is a dependent table (exists only if user) –> rectangular shape corners, small table icon. 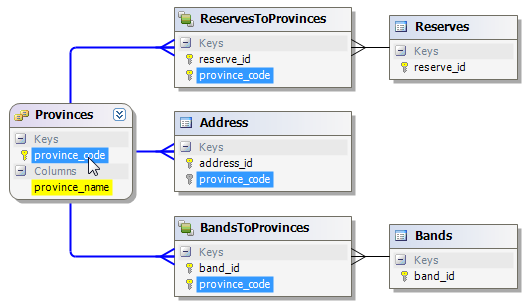 Provinces is independent (and also lookup) –> specific icon.